About a month back, there were rumours Real Madrid goalkeeper Thibaut Courtois had found his new love in model and TV presenter Alba Carrillo after the two were spotted out walking hand-in-hand. However, the former Chelsea custodian, who had parted ways with mother of his two children last year, publicly denied being in a new relationship, reports The Sun. “I’ve met Alba twice. I’ve been to her house, she has come over to mine and then we went out to dinner, which is when the photographs were taken, but nothing more. With consideration, I do not think that they will see us together again,” Courtois had said. Carrillo, who was married to tennis player Feliciano Lopez before splitting in 2016, has accused Courtois of generating hate against her. “I am leaving for a while because I think what you’ve done to me is a bloody massacre,” she wrote on Instagram. “Football fans, general riffraff and the media have mercilessly gone to town. 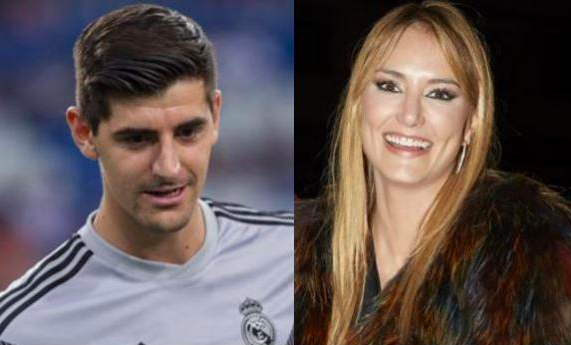 I hope that T. Courtois explains the reason for his words that have generated a lot of hate towards me,” added Carrillo, who has a child with ex-biker Fonsi Nietowit, whom she dated prior to her marriage.